The MTP department at Airbus Defence and Space Netherlands offers a wide range of Mechanical and Thermal products and capabilities. HiPeR is a high performance, low cost, customizable and easily installable flexible film radiator technology, optimized for application in space. 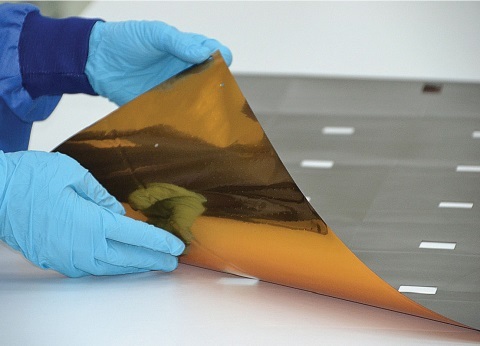 Building on a well-established heritage in spacecraft thermal management systems, Airbus has developed a highly conductive flexible film radiator as the key element of the HiPeR suite. HiPeR represents a suite of applications with this technology, ranging from Thermal Straps (Flexlinks) to Radiator panels and doublers. HiPeR technology is specifically optimized for space applications. It combines advantages such as low cost, a short lead time, late integration capability and trim-ability without compromising performance and with next to no mass impact. This allows for ideal system level trade-offs. All applications can be implemented separately or together in highly customizable thermal management systems. Heritage; Within a period of only 3 years, contracts have been awarded in Science, Telcom, Earth Observation and even Mega-constellations. Various designs are available as off the shelf products for minimal lead times. Ask us for more information. We also have the knowledge of system level application in-house and are capable and willing to support our customers in every development phase, which allows HiPeR to also be considered as a problem solver throughout development. 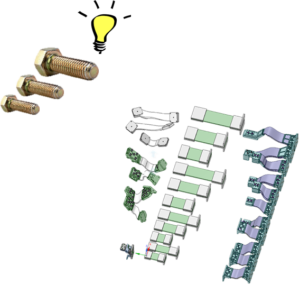 Several patent pending methods of embedding the technology on system level hardware have been developed by Airbus. Our flexible film radiator is similar in appearance to a single layer insulation (SLI) blanket and may be fixed to a supporting structure using appropriate standard methods. 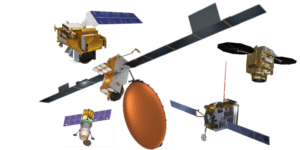 HiPeR provides a reliable and cost effective solution for spacecraft thermal management with minimal mechanical and mass impact which can be implemented at virtually any stage of your development. We are setting up a standard suite of Thermal Straps for easy selection and at competitive rates. Contact us for more information and get a copy of our catalogue. Scalable improved thermal performance with minimal mass impact. Would you like to know more about this product? Get in contact by calling us at +31(0)71 5245468 or click on the button to send an email.